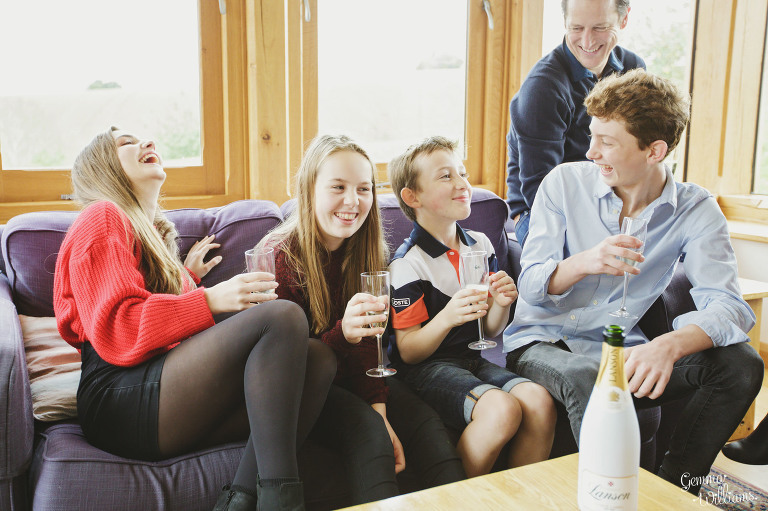 If you are coming to Herefordshire for a family holiday, why not have some Family Photos done while you are here?! Holidays are a great time when everyone is together and can relax and enjoy themselves. You may be a large family that is spread about all over the UK or all over the world, so this big family gathering may be the first time you have all seen each other for a while – definitely calling for some photographs to remember the occasion! Or you might just be having a quiet break in the school holidays. Perhaps you are all celebrating a birthday or anniversary, or perhaps seeing grandchildren for the first time. Whatever the reason, and however large or small your group, it’s a great idea to have some professional photography done for the album while you’re enjoying a holiday together. I would love to help you with that! Herefordshire is a jewel of a county, ideal for relaxing or active family holidays, with beautiful countryside as far as the eye can see. I consider myself very lucky to live here, surrounded by rural, rustic scenes, rolling hills, woodlands, rivers and all the colours of nature. This makes for amazing backdrops for your family photographs. Being a local photographer based in Hereford, I love to shoot outdoors on location in the Herefordshire countryside, and can offer many ideas of places for you to visit, where you can enjoy walks together or other exciting adventures, and have the family memories captured on camera. There are also lots of amazing holiday houses, cottages and barns here in Herefordshire for large and small groups to stay, ideal for ‘getting away from it all’ and unwinding. Many of these have their own gardens with views that would also be ideal for family photos, and may also have great indoor spaces that can be used in the case of slightly less clement weather. My style of photography is relaxed and natural, capturing all the fun and laughter and preserving family memories for years to come! I’m very friendly and calm, and my aim is to get you to forget about the camera as much as possible, and just to enjoy being together. (Everyone always says that I made them feel really comfortable despite the camera and that they actually really enjoyed the session!). I shoot lots of organic documentary photos, naturally capturing candids of everyone, as well as orchestrating a few more structured group photos if you would like, getting the whole family together for posterity. You will have a beautiful collection of photographs to document your family time together, which you all can download for free from your private online gallery, wherever in the world you may be. You can make your own photo prints too, or I can help you with that if you like. So, if you are visiting Herefordshire with the family and would like a local award-winning photographer to take professional photos while you are here, please do take a look at my website and get in touch! I would love to hear from you. Gemma Williams is an award-winning wedding and family photographer based in Hereford, UK.